Kanye West and adidas Originals have officially confirmed the release of the adidas Yeezy Boost 350 V2 “Core Black/Red” for February 11. The first Yeezy Boost release of 2017 will be available in two sizes, including an adult and infant size version. The new “Core Black/Red” version features a Primeknit upper in black and red stitching of the iconic “SPLY-350” lettering. For the first time on the V2 version, a new heel tab has been added. The sole remains as a semi-translucent rubber outsole and adidas’ patented Boost midsole. The two size versions will be priced at $220 USD for the adult version and $140 USD for the infant version. 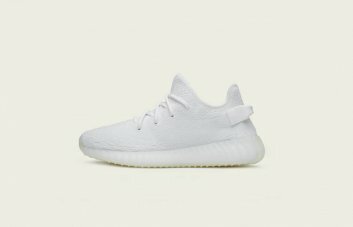 While users of the adidas Confirmed App are able to reserve their pair prior to the release on February 8, the Yeezy Boost will be live on February 11. at adidas.com (10 AM CET), authorised adidas retail locations and selected retailers.